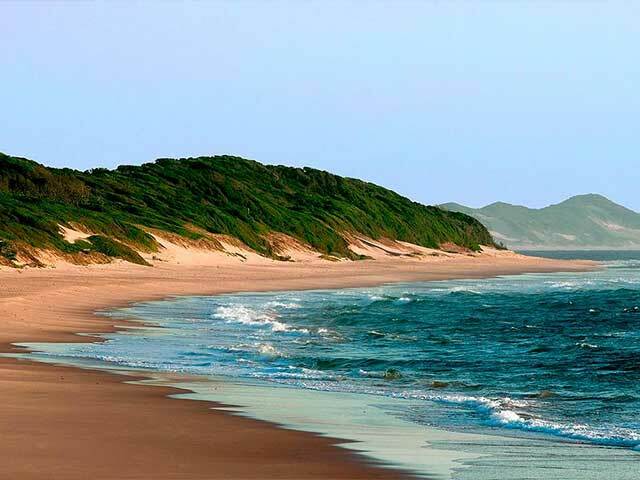 Far from the maddening crowds, White Pearl's Resort at Ponta Mamoli is a secluded, luxury holiday destination in southern Mozambique and is located only 25 kilometers from the Kosi Bay border post. Whether it is diving on exclusive reefs, deep-sea fishing, horse riding, snorkelling and splendid beach meanders or just lazing by our sparkling pool, this is the place to be. 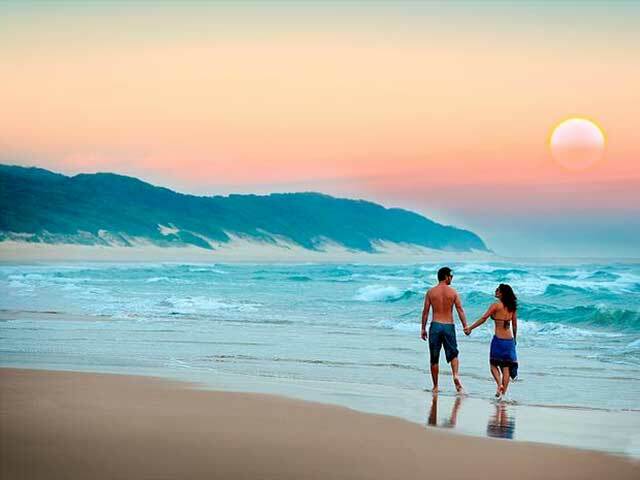 The setting is breath taking and it is easy to understand why The Getaway Magazine aptly named Mamoli the ‘Mermaid’s Beach’ in their top 20 beaches of Southern Africa feature in December 2003. 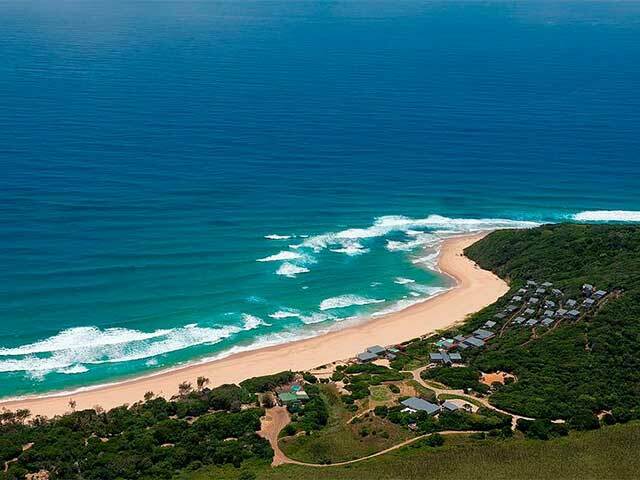 Nestled in the most awesome, completely undeveloped bay along this coastline and within stepping distance from the sea, guests immediately experience the serenity and sheer beauty of the location with magnificent beach and wetland views. White Pearl's Resort at Ponta Mamoli is truly an escape from the hustle and bustle of the pressured modern day existence. Rich in history, the main facilities including restaurant and lounge deck, bar and swimming pool all overlook the bay and are located in the original old Portuguese homestead built adjacent to a man made channel excavated to link Lake Mamoli with the sea. Early development at Ponta Mamoli can be traced back to the 1940’s when a titanium mine existed in the adjacent wetland. It was for this reason that an opening to the sea was carved through the dunes to allow water into the area at high tide to enable the extraction process. In the early 1970’s investors developed an elaborate camping resort. A number of ablution blocks were built – since converted to staff cottages, warehouses and water reservoirs erected and even a tarred road was constructed to nearby Zitundo, the local administration village. 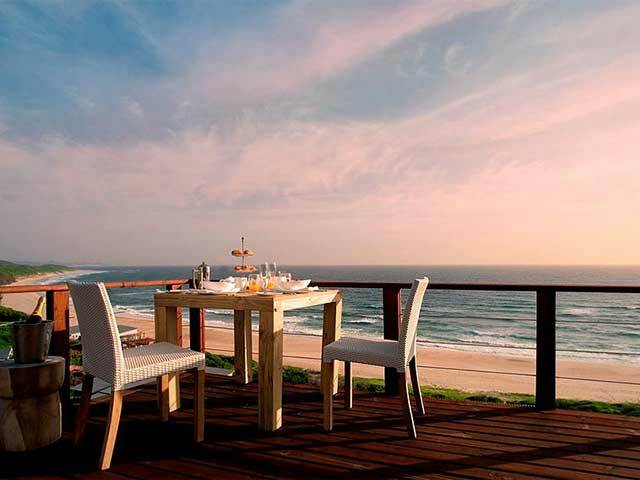 Ready to open to guests with everything immaculately in place, the entire scheme was sabotaged by the civil revolution in Mozambique and subsequent guerrilla war that left Mamoli vandalised, plundered and derelict for the next 32 years. In 2002, the spirit of this Mozambique paradise was revived. Today, Ponta Mamoli Resort with the original architecture retained and modern spacious wooden decks and modern facilities added, is a jewel – the perfect spot to escape, explore and experience! Preservation of the local area is a prime objective with precision planning and consideration given to protecting the environment to retain the natural appeal. It is for this reason that quad bikes, off road motor bikes and jet skis are not allowed. The surrounding locale is a varied mosaic of rare ecosystems – magnificent unspoilt expanses of beach, endemic rich woody grasslands, dry savannas, swamp forests, freshwater coastal lakes and floodplains characterised by expanses of reed beds, bulrushes and papyrus. In the nearby Maputo Special Reserve, previously endangered Elephant populations as a result of indiscriminate hunting pressures during the war are increasing at a pleasing rate and now estimated at well over 200. Elephant activity has recently been noted within two kilometres of the Resort. Hippo, crocodiles and a variety of small buck including red duiker, suni, reedbuck and inyala can be seen on scenic drives to local sunset spots like Lake Piti, a massive freshwater lake. The location has been recommended as an important bird area – IBA due to the presence of an increasing variety of bird life including near endemic and rare bird species. 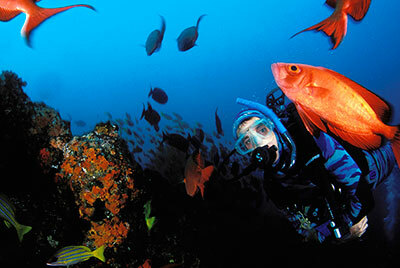 Extraordinarily rich in diversity with varying topography and a multitude of marine animals to observe, the extensive coral reefs at Ponta Mamoli are pristine and the diving is exclusive – we can guarantee no other boats or dive groups even at the ever popular Bass City! With more than fifteen reefs in close proximity of the launch site, ranging from idyllic shallow dives of 8 meters to extreme deep blue 40 meter dives and scintillating long range drift dives, we offer exciting options ensuring the ultimate experience for all levels – from the adrenalin-seeking shark diving junkies, to serious photographers, naturalist enthusiasts and beginners. 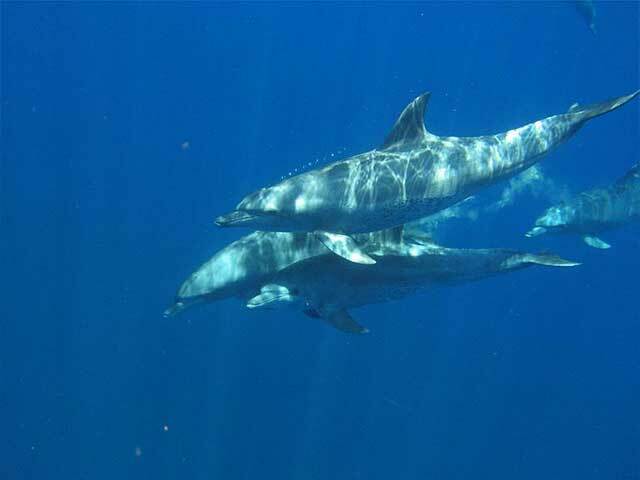 You embark on a wonderful process of discovery at Ponta Mamoli – an escape to the magnificent coral cities of the sea, to explore and observe a variety of fascinating creatures in a liquid universe rated by seasoned and travelled divers to be world class. Our diving is slow – current dependent, focused and personal. From exhilarating sightings of huge schools of hammerhead sharks and Zambezi sharks, especially during the summer months along with squadrons of graceful devil rays performing aqua acrobatics, to big aggregations of colourful fish - snappers, flame goatfish, fusiliers and unicorns to name but a few and a myriad of intriguing invertebrates including stunningly exquisite coral structures, it is all here at Ponta Mamoli. Inquisitive large potato bass, rays of all varieties, huge honeycomb moray eels and an impressive array of other eels including the tiny golden eel, guitar sharks, leopard sharks and the spotted ragged tooth shark during the female’s gestation and rest period in the warmer Mozambique waters, are habitually observed – up close and personal! For real enthusiasts seeking those unusually rare sightings – the masterfully disguised Mauritius scorpion fish, giant anglerfish, paper fish, frogfish, cute juvenile clown triggerfish and shy little pineapple fish are frequently found in ‘special’ spots we will expose to you. The palette surgeonfish – of ‘Dory’ fame in Finding Nemo, is often spotted along with juveniles on select reefs. An impressive number of butterfly fish species abound. 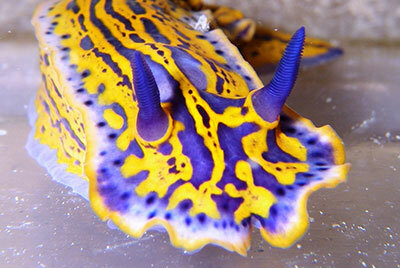 Ponta Mamoli is a macro connoisseur’s paradise with rare species of nudibranchs, partner and squat shrimp and if you are very fortunate, the seldom-seen harlequin shrimp. 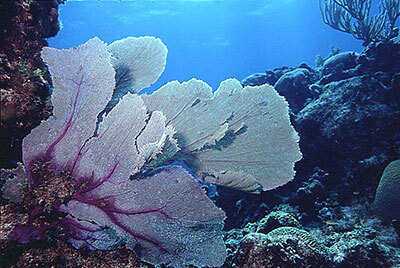 Stunningly exquisite unspoilt structures created by billions of tiny coral polyps joined together in colonies of giant plate, turbinate, leather; mushroom and ‘fields’ of stag horn corals adorn our shallower reefs. A unique ‘forest’ of giant yellow coral trees with feather star decorations and interspersed purple gorgonian sea fans creating an underwater canvas of colour, contrast and magnificence, is a superlative 30-meter dive in a serene, tranquil setting not to be missed! For a real difference, a pre-sunset dive from November to early March on famous Pinnacles can potentially reveal an explosion of massive schools of pelagic fish – great selection of kingfish, with pulsating shark activity. Not for the faint hearted! The core components to diving at Ponta Mamoli include friendship, fun and enjoyment, yet always adhering to a policy of good, safe diving practice and a commitment to protecting our living reef. Divers are strongly encouraged to become true ambassadors of the underwater world displaying respect and harmony in a fragile environment that we as visitors are most privileged to visit. Look NO touch rules! Ponta Mamoli is an affiliated PADI Resort with modern, carefully maintained equipment and friendly, service driven staff. Continuing dive education – developing and improving diver knowledge and skills is a passion and our extremely experienced and seasoned PADI instructors provide sound advice and guidance to make sure you perfect your buoyancy and maximise your efficiency under water. A highly competent boat skipper, the most accomplished in the area will ensure your comfort and safety at sea and make certain of the right drop! Medical oxygen is available on the dive boat and in the unlikely event of any emergency, divers can rest assured that we are equipped to deal with most cases. A medical doctor is resident on site with a surgery for treatment. Rescue protocols are in place for evacuations, but we strongly encourage all of our divers to be members of Divers Alert Network for added peace of mind. It is time to pack your dive gear and head for Ponta Mamoli where our diving is relaxed, hassle free and exclusive – the only pressure is atmospheric! 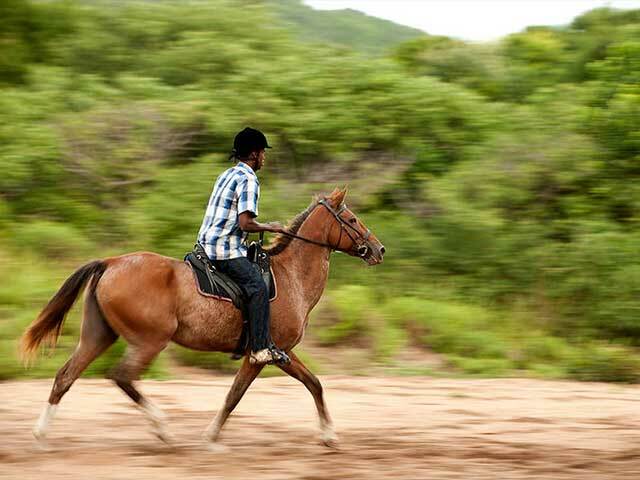 Horse riding is a matchless adventure activity incorporating special interest features with an emphasis on flora and fauna and some of the local flavour such as visiting the Palm Wine ‘factory’ to see the brew in production. Our horses are extremely well disciplined and all rides are professionally managed to ensure the ultimate pleasure for all levels of riders. Mamoli’s deep sea fishing charter offers fisherman and salt water fly fishermen the thrill of fishing previously uncharted atolls. 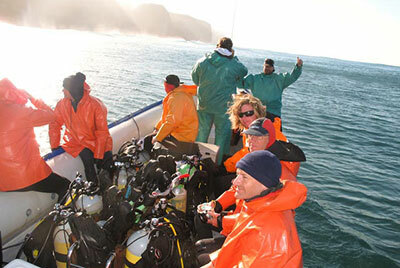 Equipment is all supplied for either half or full day charters. 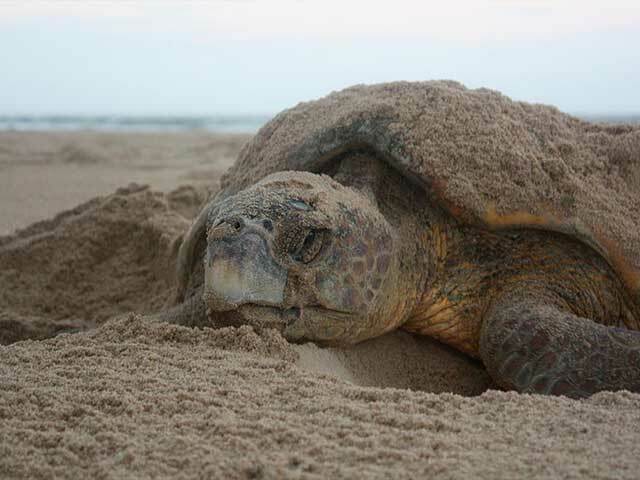 Turtle nesting is a very special and soul satisfying phenomenon to witness during the season from November to February, when educational tours are arranged. Ponta Mamoli has 12 standard wooden chalets and three family chalets sleeping a maximum of 36 guests – small and hospitable! Each chalet with private veranda is positioned only meters from the high water mark which gives one the impression of being right on the sea and interlinked with wooden walkways. All have a hot water shower, wash hand basin, toilet, mosquito nets, fan and digital safe – although theft has never been a problem and are fully serviced each day. 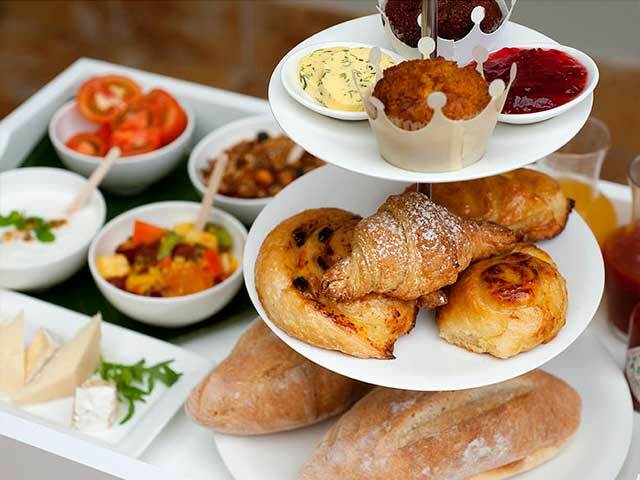 We pride ourselves on the quality and presentation of meals and most of the salad ingredients and herbs used are home grown and garden fresh.